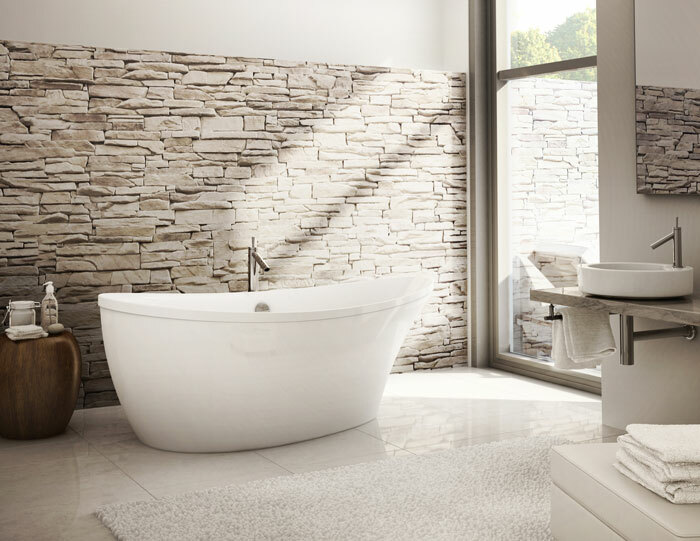 Granite au Sommet offers a variety of kitchen sinks and bathroom sinks to go along with your custom countertops and kitchen cabinets. 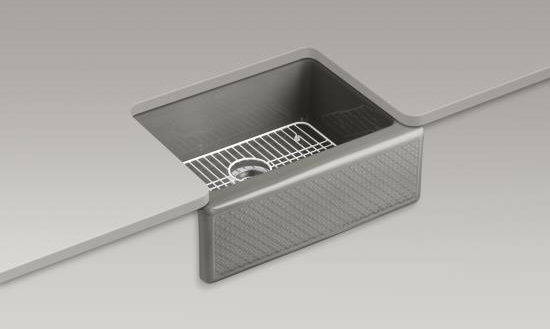 Whether you are looking for a new stainless steel sink for your kitchen or a white porcelain sink for your bath. 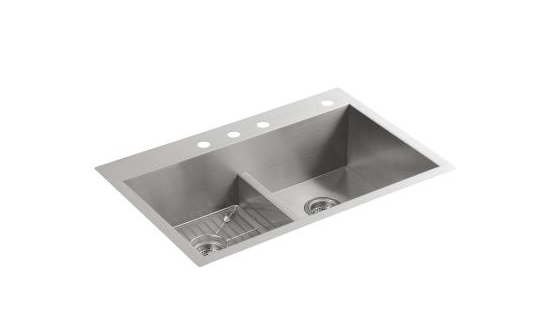 Undermount Sinks: The edge lip of the sink is mounted below a granite, granite or marble countertop, so the sink effectively hangs underneath the counter, as opposed to sitting on top of it; facilitates the cleaning process and creates a continuous flow from countertop into sink. Consequently, you can wipe off food scraps straight into the sink and you gain a larger countertop and it is easy to clean. 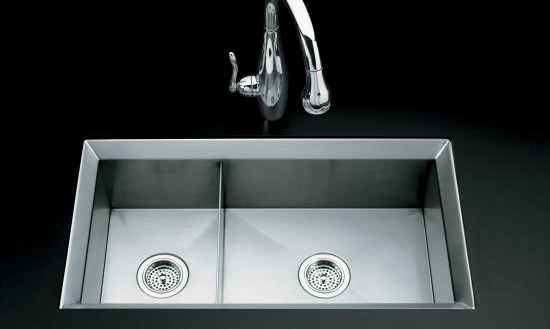 Benefits of Undermount Sinks: Best suited for solid surface countertop materials like granite, soapstone, marble, or quartz. 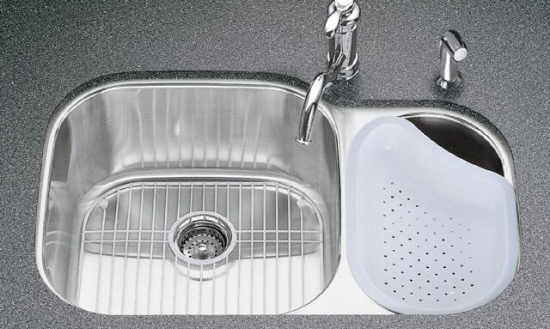 Undermount Sink Installation: Proper installation and sealing is crucial to prevent leakage and to make sure the sink is properly supported. 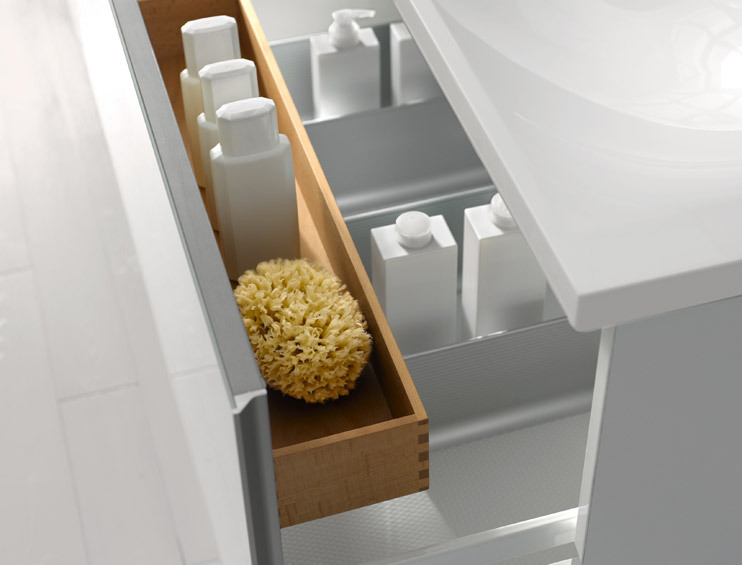 Undermount sinks are typically attached with a two-part epoxy adhesive and sealed with silicone caulking around the perimeter but at Granite au Sommet, we offer a better way to ensure long lasting installation. Ask our expert. 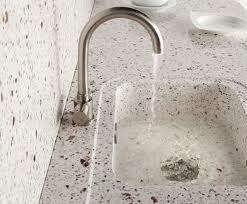 Granite au Sommet offers Bristol kitchen sinks, Silestone Integrity sinks, Kohler and many more. 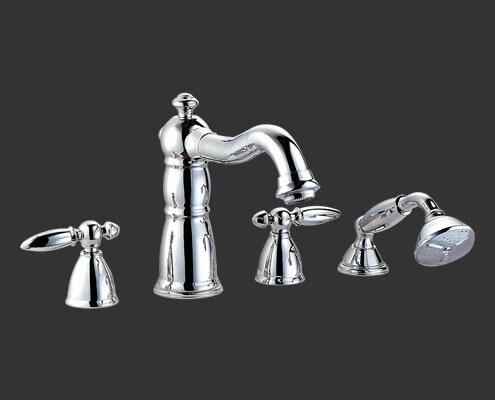 Granite au Sommet offers kitchen faucets and bathroom faucets from Grohe, Kohler and Bristol for our customers from Boisbriand, Blainville, Lorraine, Rosemère, Mirabel, Montreal and Laval. 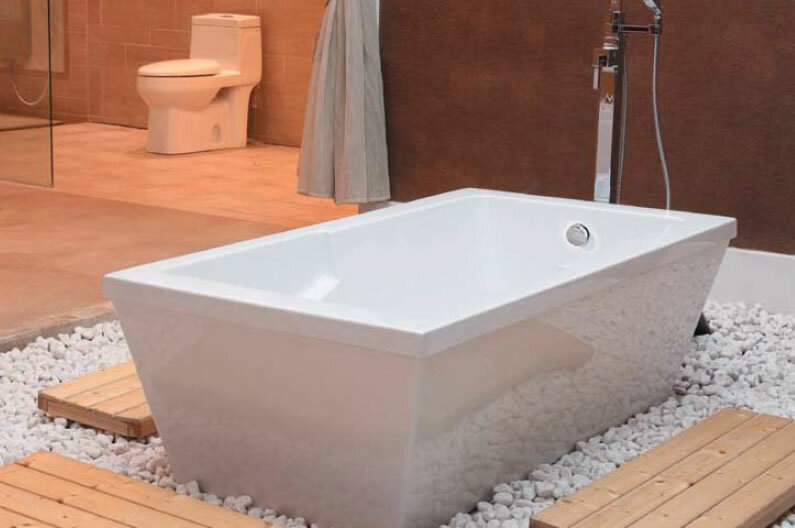 Granite au Sommet bath and shower from Robinetterie Royal and Acryline . 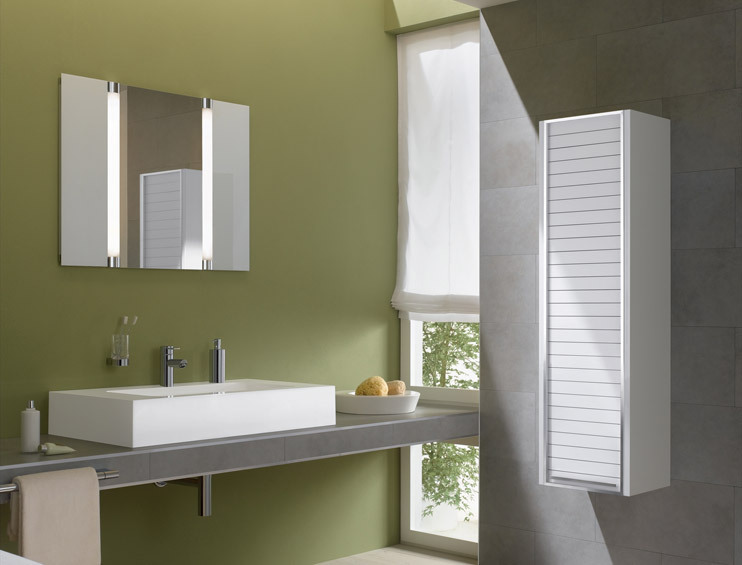 Granite au Sommet offers bathroom vanities and customer cabinets.